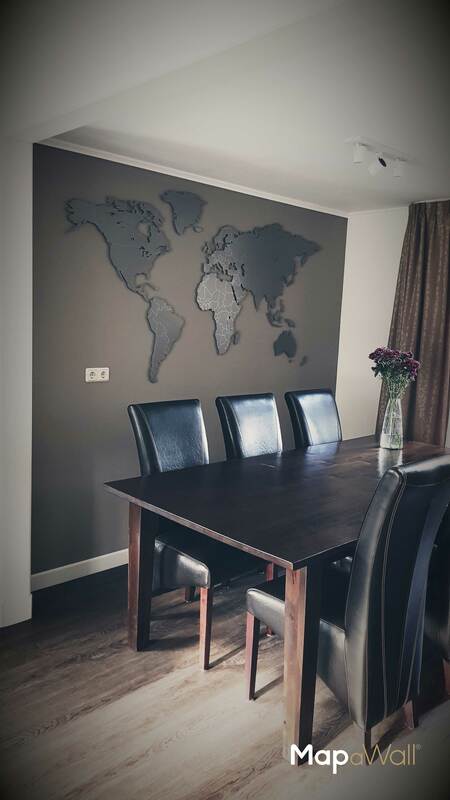 Our MapaWall Steel is one of our more contemporary maps with an incredibly chic look and feel. 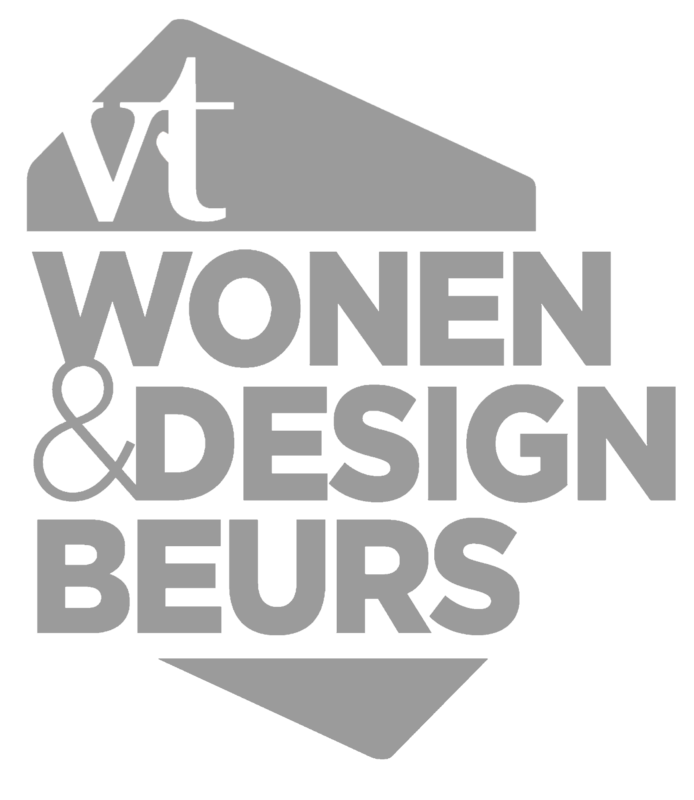 We use high quality stainless steel to create this luxurious, high-end design. 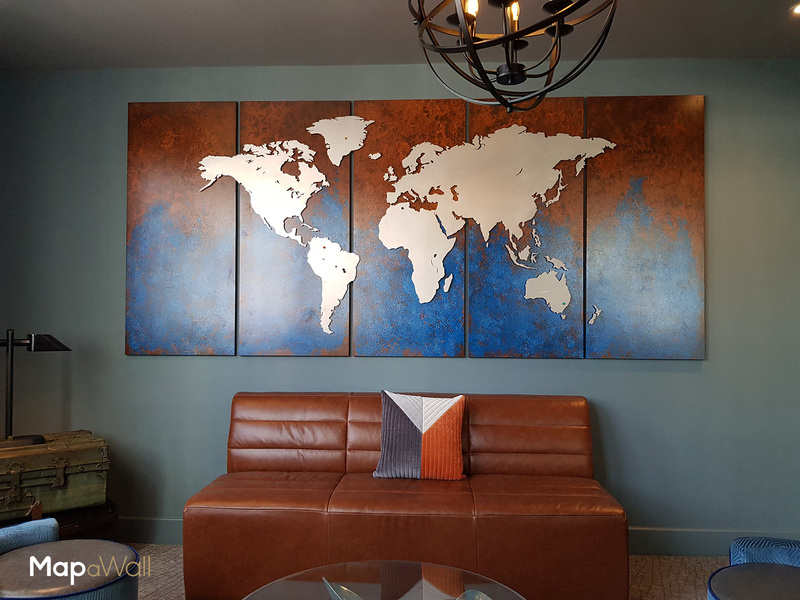 Our MapaWall Steel has been ceramically sanded to produce an elegantly smooth finish. 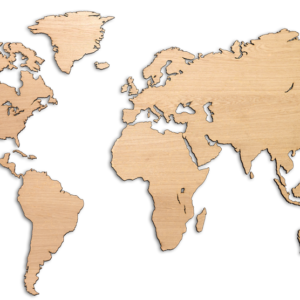 Specialist lasers ensure that this piece is cut to perfection and each border is laser-engraved on with the utmost precision. 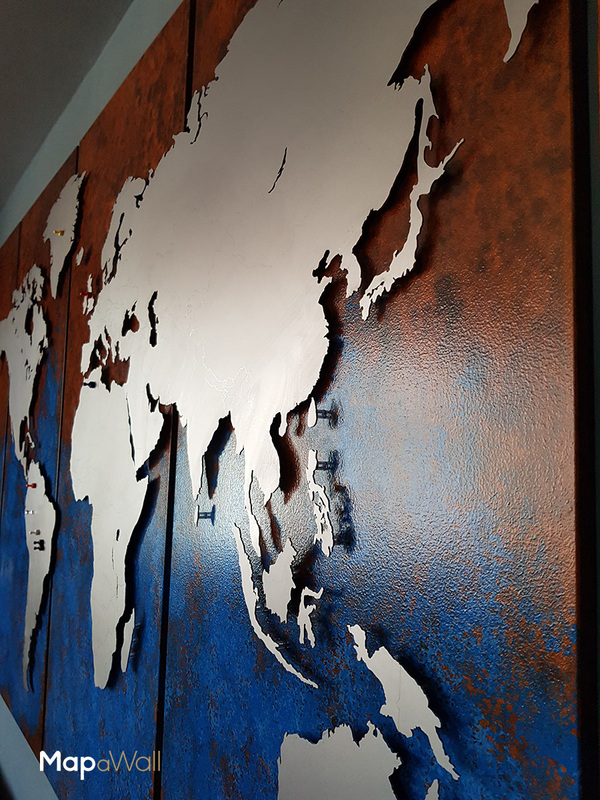 This steel surface ensures that this MapaWall also has magnetic properties. This is ideal for highlighting countries or areas that you have visited or would like to visit. 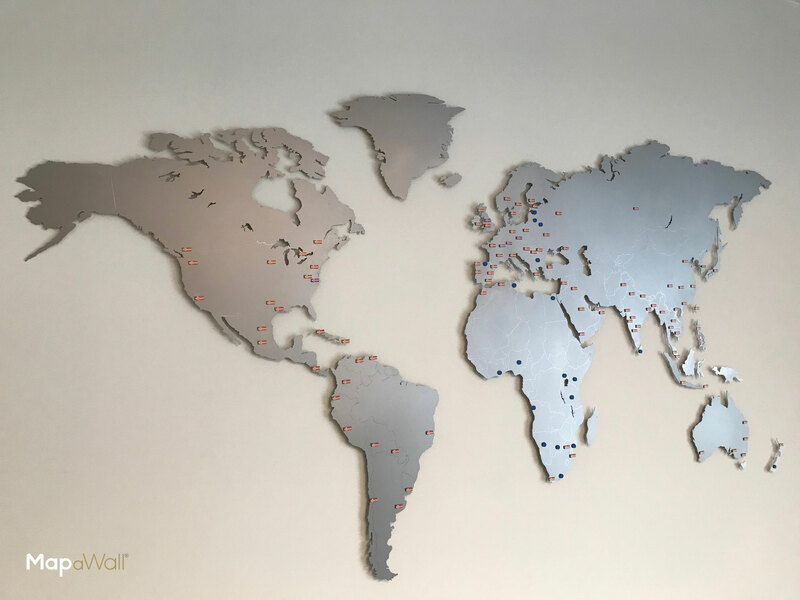 Our MapaWall Steel is often paired with one of our coloured magnetic pins (available on our site) to pinpoint areas of interest as well as coordinate well with your surrounding decor. 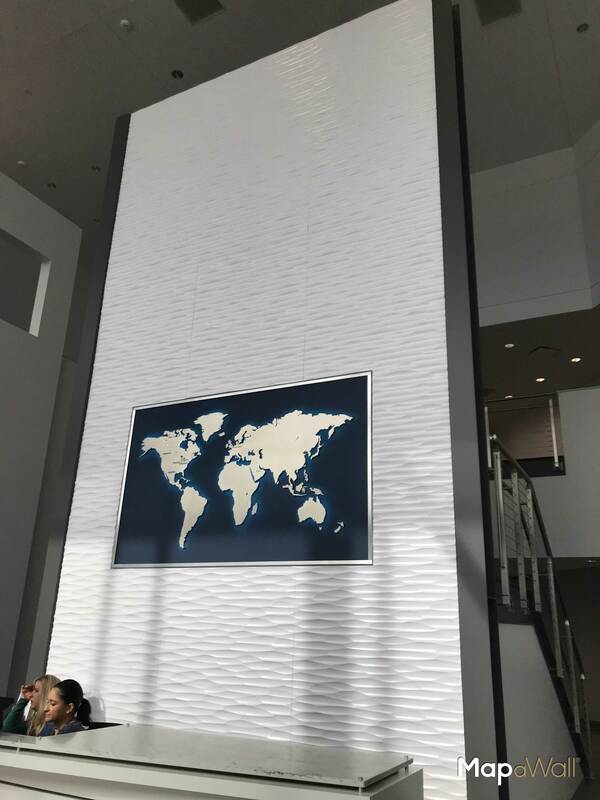 Our MapaWall Steel has a strong, modern look and feel which would look great on block colours or simpler textures as well as accompanied with other contemporary ornamentation. 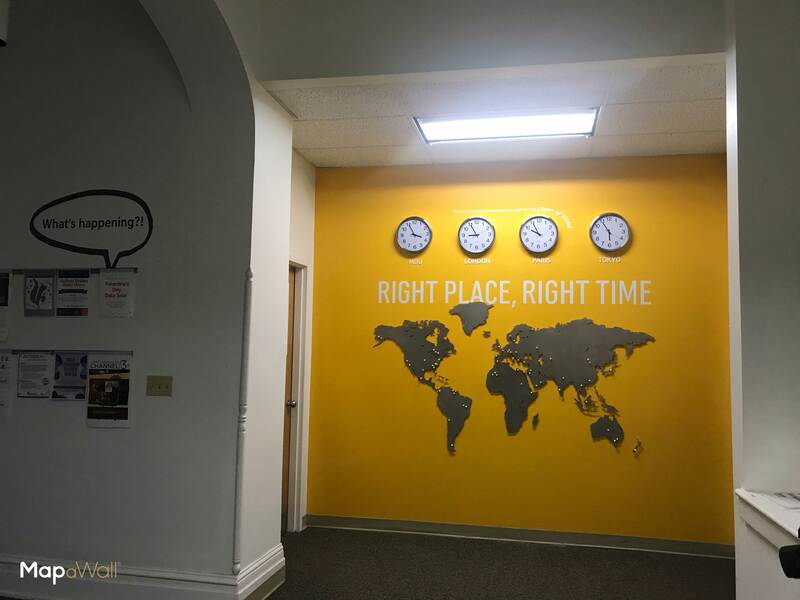 It is an incredibly versatile map which gives it the ability to suit most design interiors. This piece is 0,08 inch (2 mm) thick and weighs approximately 48,5 (22kg) pounds making it thin but extremely sturdy. It is also available in a thicker size of 0,2 inch (5 mm), prices for this are available on request. 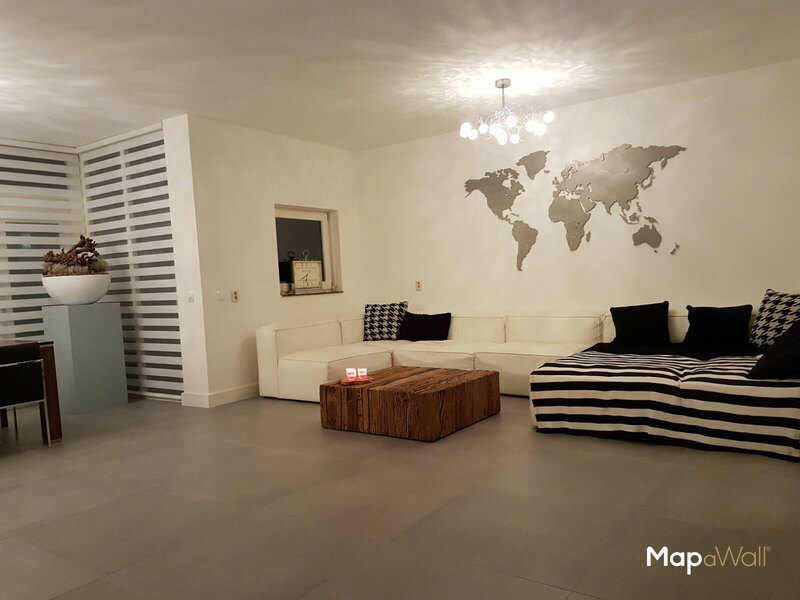 The MapaWall is 84 by 46 inch in size. 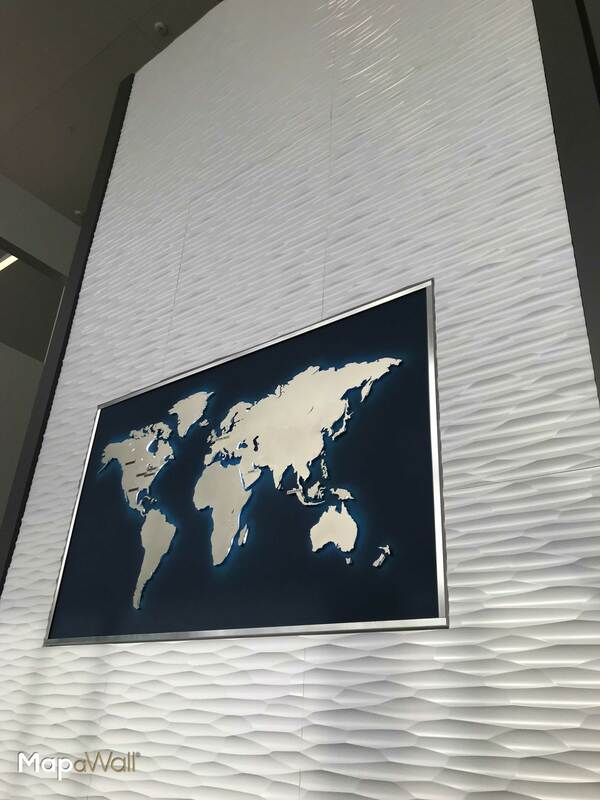 Our MapaWall Steel is one of our more contemporary maps with an incredibly chic look and feel. We use high quality stainless steel to create this luxurious, high-end design. 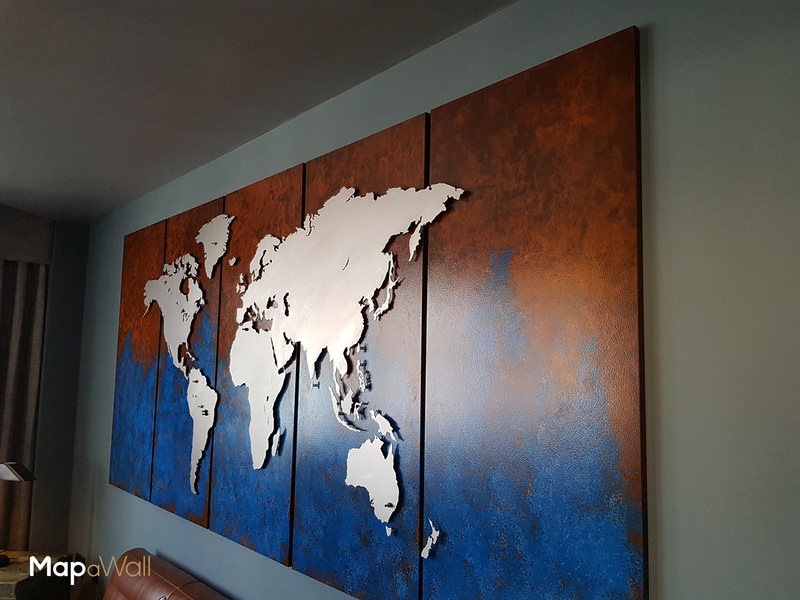 Our MapaWall Steel has been ceramically sanded to produce an elegantly smooth finish. Specialist lasers ensure that this piece is cut to perfection and each border is lasered on with the utmost precision. 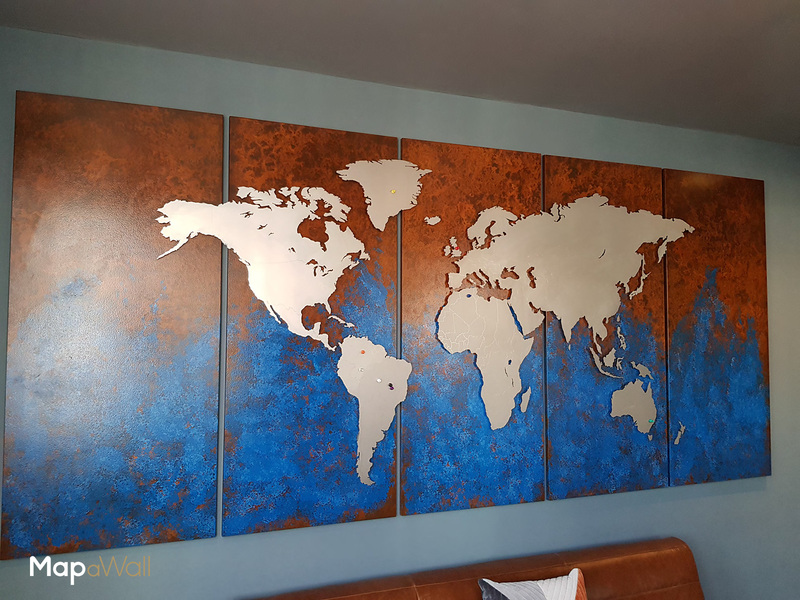 Our MapaWall Steel has a strong, modern look and feel which would look great on block colours or simpler textures as well as accompanied with other contemporary ornamentation. 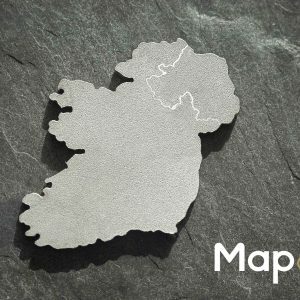 It is an incredibly versatile map which gives it the ability to suit most design interiors. This piece is 0,08 inch (2 mm) thick and weighs approximately 48,5 pounds (22kg) making it thin but extremely sturdy. It is also available in a thicker size of 0,2 inch (5 mm), prices for this are available on request. 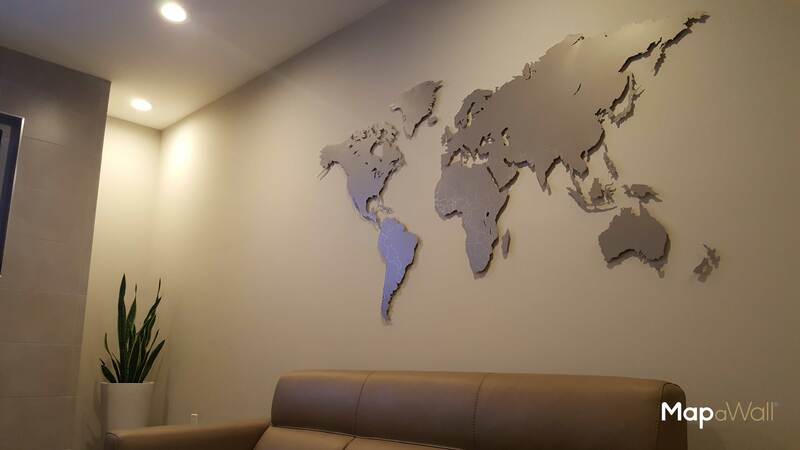 We use a specialist, new fiber laser technology for cutting and engraving this piece. 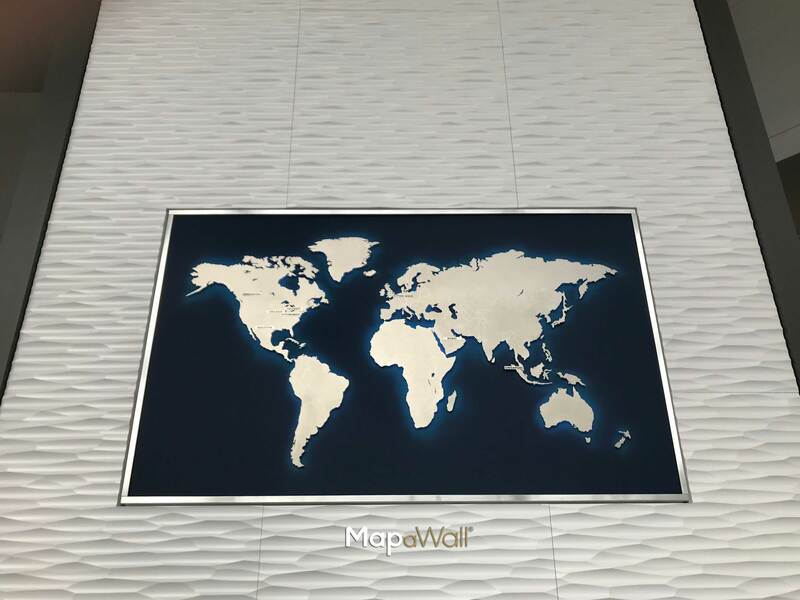 It is made from high quality stainless steel and is ceramically sandblasted to remove any sharp edges, producing a smooth, high quality finish. Magnetic glass spacers are used for the islands and a metal frame for the map itself. 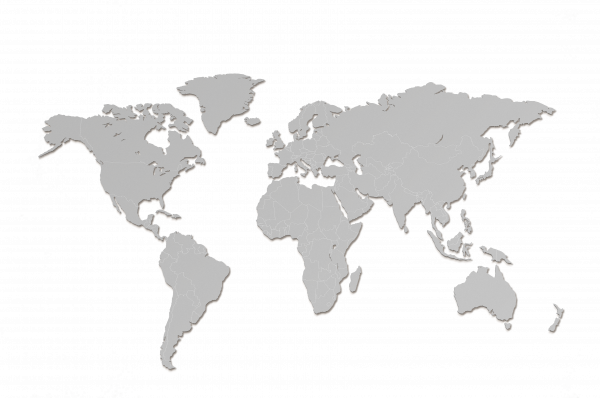 We offer worldwide, fast and insured shipping to all our clients. 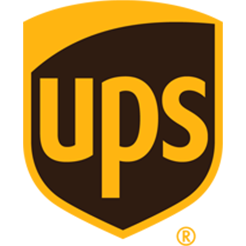 We use UPS Capital, a reputable courier, to get your MapaWall out to you quickly and securely and can even aim to get your product to you in two working days. We use a secured MapaWall case to make sure that they reach you safely. 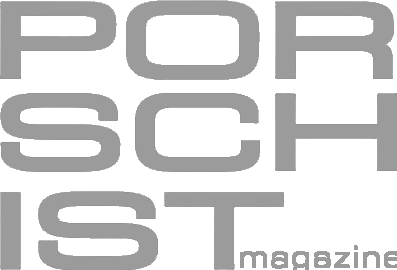 We supply you with a straightforward magnetic installation kit that has easy to follow step-by-step instructions. 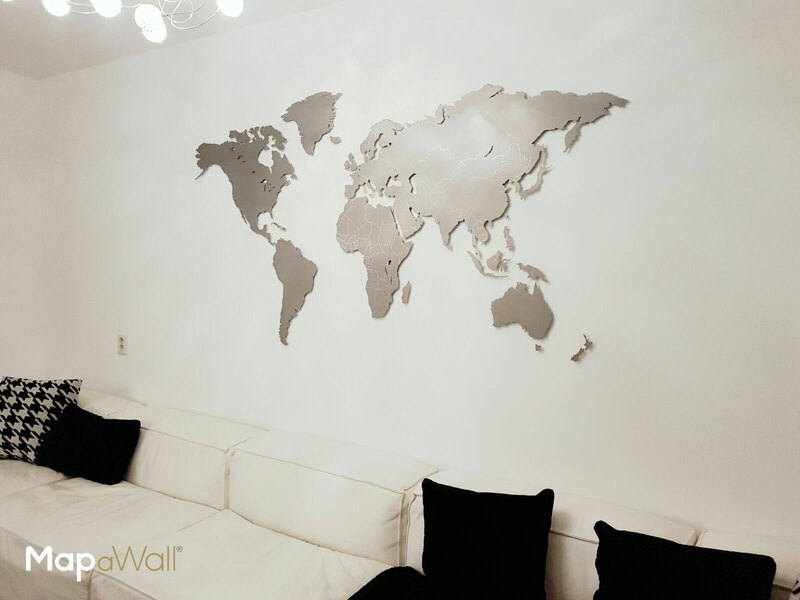 This means that, if required, you can also take down your MapaWall easily. 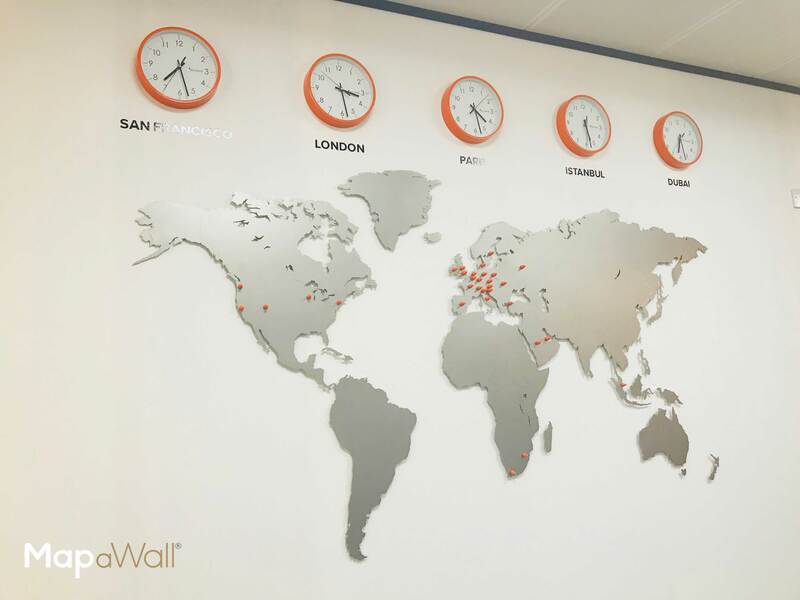 Our MapaWalls are fitted 0,4 inch (10 mm) from the the wall to creating a three-dimensional effect.